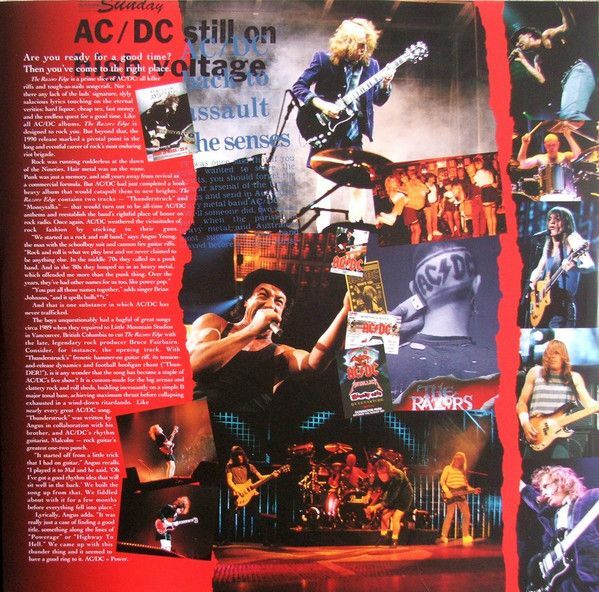 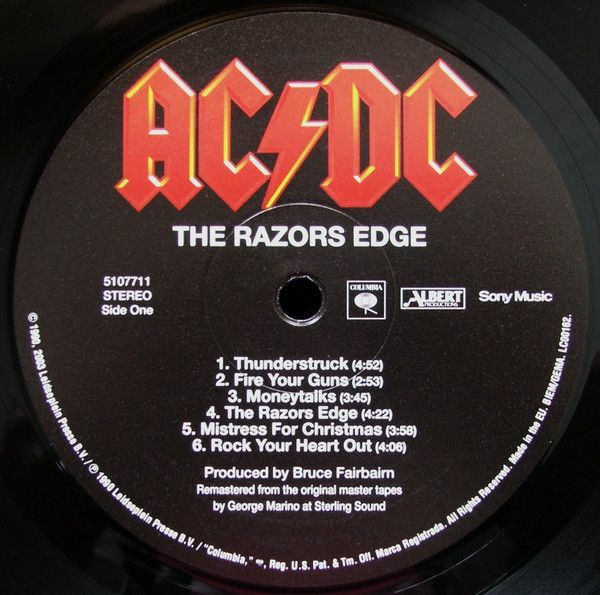 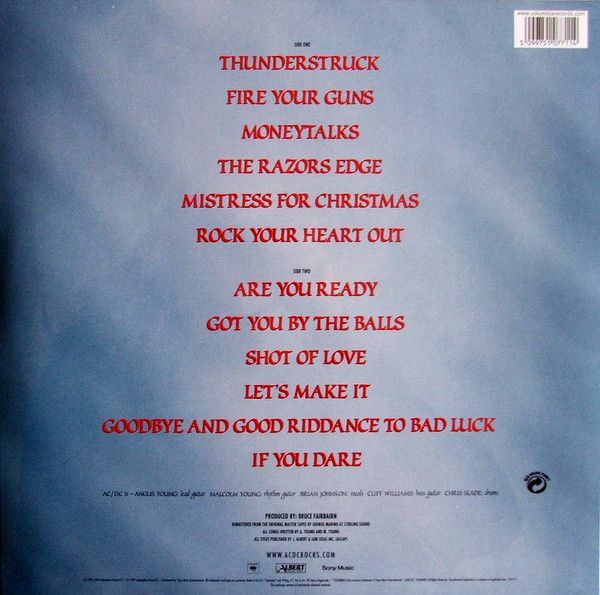 2003 EU issue on standard vinyl LP- with "Thunderstruck" as the lead single Arguably the Australian headbangers' strongest album in over half a decade, The Razor's Edge is quintessential AC/DC — rowdy, abrasive, unapologetically fun metal full of blistering power chords, memorable hooks, and testosterone-driven lyrics. 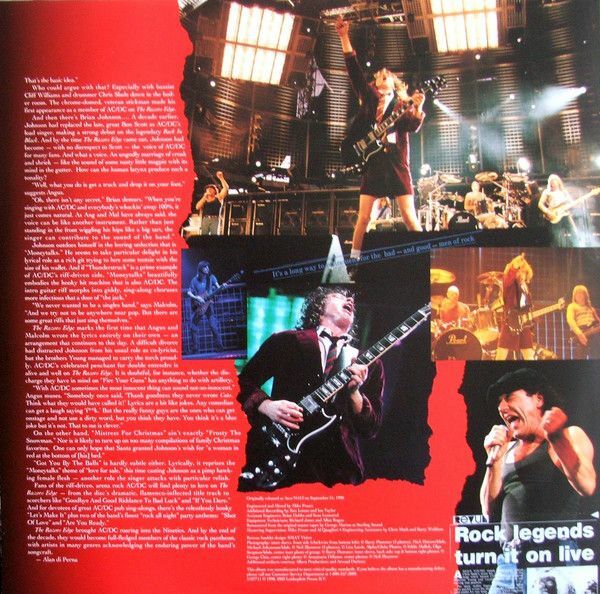 Lead singer Brian Johnson sounds more inspired than he had since 1983's Flick of the Switch, and lead guitarist Angus Young isn't about to take any prisoners on such hard-hitting material as 'Shot of Love,' the menacing title song, and the appropriately titled 'Got You By the Balls.' 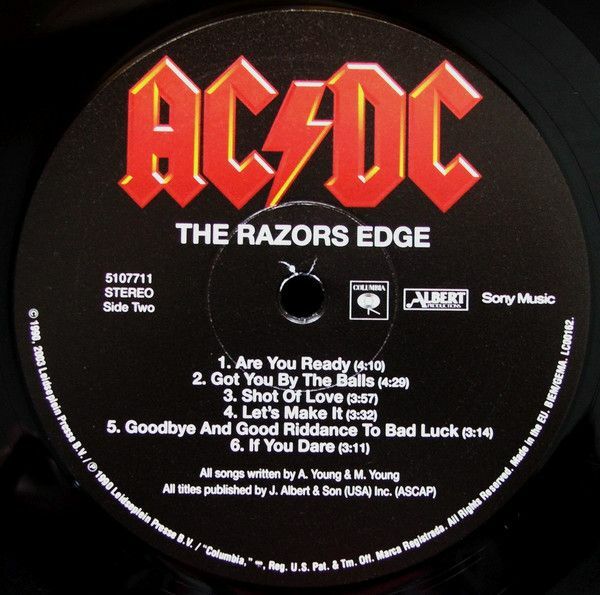 Although not quite in a class with Back in Black, Highway to Hell, or Let There Be Rock — all of which would, for novices, serve as fine introductions to the distinctive band — The Razor's Edge was a welcome addition to AC/DC's catalog.